ETGMS club members are always busy spreading rock fever where ever they go. Educating others is our primary goal, whether it's at our monthly meetings, workshops, classes, or other public activities. Events from past years are listed below. ETGMS members set up a display for the month of January. The display really came out nice. 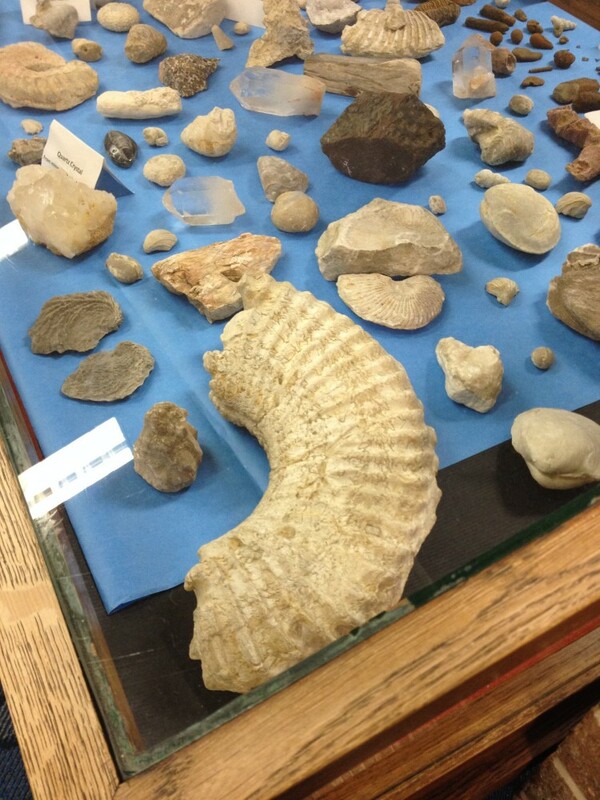 There is also a giveaway table, with Quartz crystals, tumbled stones, and fossils. Had ​a big turnout and a lot of fun. A bunch of critters were made, and everybody was an expert by the end of the day. We grilled some burgers for lunch. We even had time to visit Kinney Polve's "Lost Agate Mine." We got an early start, and the creativity started flowing right away. There were a lot of nice things made for the Silent Auction and Wheel of Fortune. We even got a picture of Keith Harmon hard at work. Jan Faulkner brought Italian soup and bread for lunch. ETGMS​​ set up a booth to help participants make rock critters and quick wire wrapped rock pendants. Terry Roberts demonstrated a more structured form for wire wrapping cabochons. It was a very busy day, with our booth drawing the biggest crowds. The Discovery Science Place was quick to invite us back for the next Makers Faire. All the kids and adults were proud of their creations. ETGMS members took a field trip to Keith Harmon's house for an identification class. This was during his yearly rock sale. 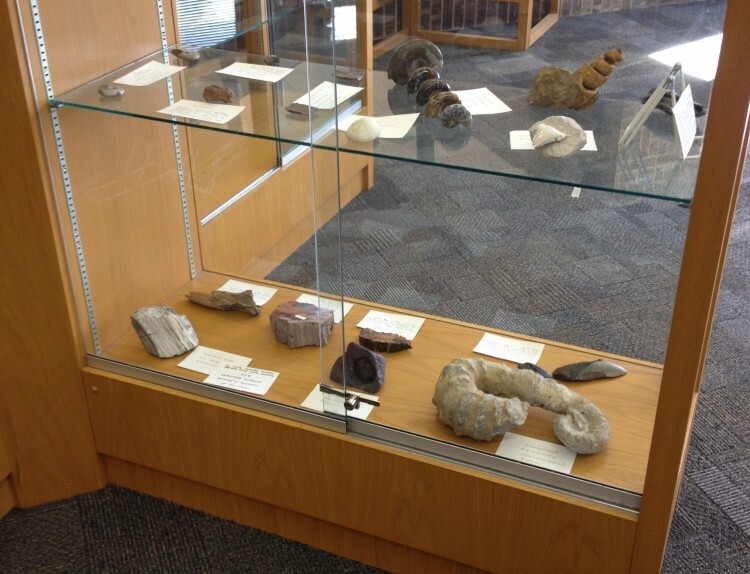 The purpose was to help members identify lapidary rough material when out in the field. Because of the wide selection of material that Keith has, this was the ideal place for this class. 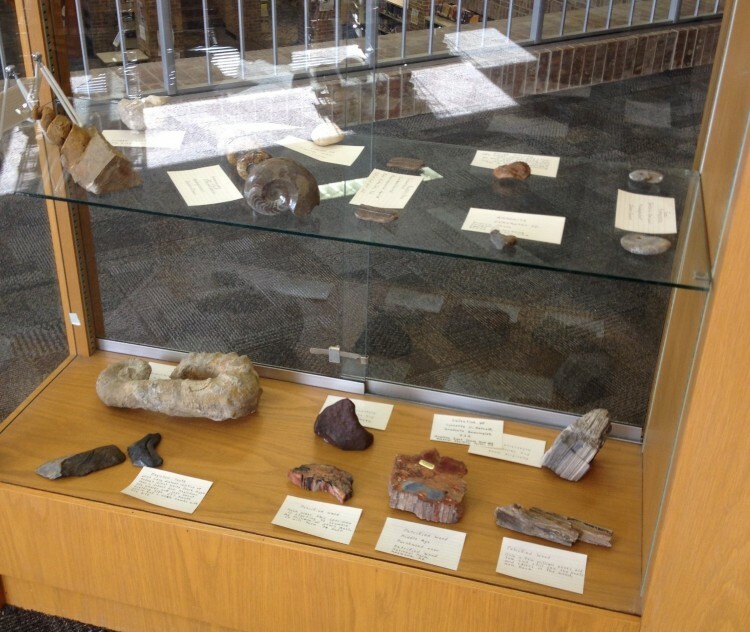 ​Here are a couple things she received from Kissam Elementary, where she presented a session on gems and minerals. They were so sweet and sent her a thank-you note, but this one was a special Christmas thank you.